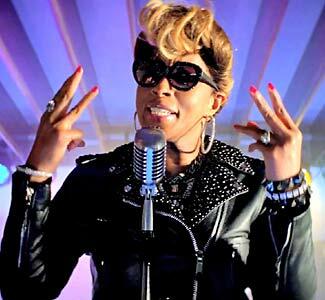 In early April everyone seemed to go crazy about the Burger King commercial with Mary J Blige singing about the new crispy chicken wrap. I actually enjoyed it and thought it was catchy, not to mention she was looking beat in that all black. The media and others went irate about it because they were offended that as a black woman she was singing about “fried chicken”. My girl, Mary, apologized and Burger King pulled the commercial. Racism is just a lot to deal with in the “post-racial” society. I feel like we have to be on edge about everything that can be misconstrued as racism. Are we doing ourselves more harm than good as community this way? Let me know what you think. I think that is a really good point. I did feel a little better when I saw other celebs promoting it, but it was a little jarring to see her do it first. I didnt know what to think other than that it looked really silly in my opinion. I don’t know how I would have felt about it if she had come after some of the other people.